From lone wolves howling at the full moon to majestic eagles flying high over the trees to tall ships sailing across an ocean nothing captures their grandeur like a beautifully tooled relief carving. A unique and intriguing art form relief carving presents three dimensional subjects in panels of wood that are often less than two inches thick. Here in this book the first of its kind on relief carving artist and relief carving instructor Bill Judt shares with you the best this medium has to offer. Pulling on the talents of his students and his own work Bill includes 16 relief carving projects geared toward the experienced carver. Each project includes a full color photograph a detailed patterns and extensive notes on design and carving techniques. 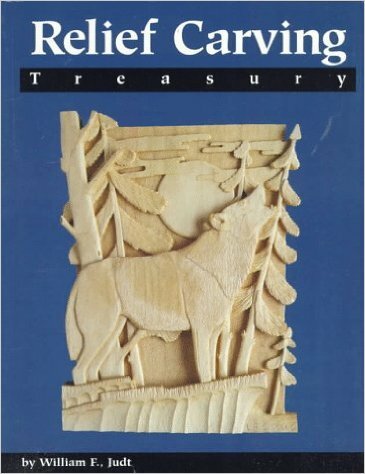 Whether you are new to relief carving and looking for an introduction to this fascinating art form or a relief carver searching for a book of new and challenging patters this guide is sure to provide you with a detailed resource.